WOW! The DJ that is the hottest DJ in Boston is DJ MAtt. DJ Toto is the DJ that all the brides want. MC Toto is amazing, friendly, warm, personable and able to create an amazing evening for all of his clients. he is the go-to Dj for today's modern couples who also want a traditional aspect to their big day. 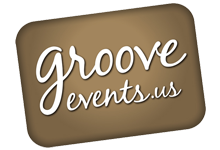 Dj Matt from Groove Events on Vimeo.